Aimed at the little ones, this version of Dr. Seuss’ famous tale is bright and colourful. 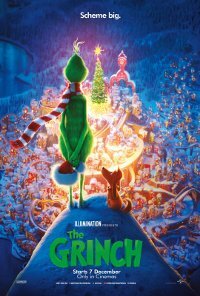 We follow the Grinch, a hermit living with the aid of technology, who craves peace and quiet. 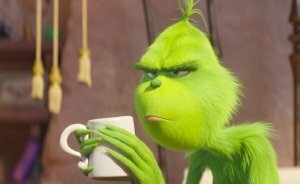 Unfortunately the local townsfolk like to make a lot of noise at Christmas, so this year, desperate for quiet, the Grinch decides to steal Christmas by posing as Santa Claus. Meanwhile in town, a young girl wants to kidnap Santa so that she can thank him personally for helping her struggling mother out. These two opposing plans and personalities are destined to collide, with life-changing results. This film is releasing in 2D, 3D and 3D IMAX. This is the 3D version.